In recent weeks, we Told you about InterSwitch East Africa. The firm was formed after Nigerian payments company Interswitch Transnational Holdings acquired a majority stake in Paynet Group. 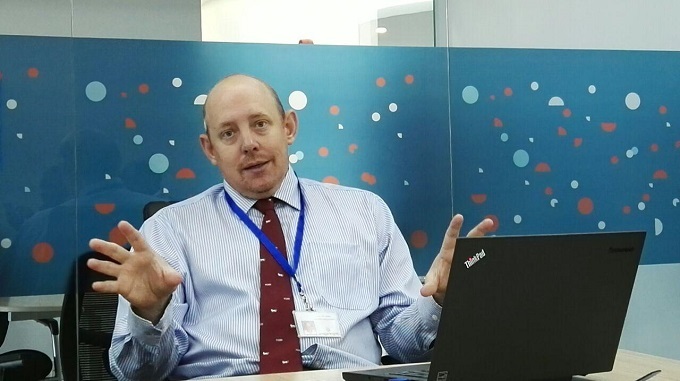 In an interview with Techweez Justin Larby, Product Manager at Interswitch East Africa, outlined some benefits to a business organization using InterSwitch products for their payment ecosystem. InterSwitch’s market proposition is integration and seamless connectivity across different payment platforms. The company’s solutions are spread out from digital payments, card payments besides offering payment infrastructure. InterSwitch East Africa’s PesaPoint offers switching services targeting financial institutions such as Banks and Saccos. Through PesaPoint Interconnect, account holders in PesaPoint partner bank accounts make transactions at reduced and uniform fees irrespective of which bank they conduct the transactions. This is occasioned by the fact that Interswitch runs its own switch and server environment which allows for customers in related bank to transact. Lets create a case for a small eCommerce business that sells smartphones through its website and outline how InterSwitch payment solutions breed inter-connectivity in operations. In creating the engine that runs the portal, the business will need to integrate a payment gateway that allows for customers to settle their accounts after making purchases. InterSwitch offers the WebPay payment gateway that integrates with merchant websites to allow for online payments. The business needs new inventory but does not have cash at hand thus opts to take the product on credit payable at the end of the month. At the end of the month, the business needs to settle that account as well as salaries for its three employees. InterSwitch offers AutoPay, a disbursement tool would allow merchants to disburse payments to creditors as well as allow for salary payments. A customer opts to shop on the website and uses the Verve Card to make payments. Verve card is powered by Discover for online payments. Since the business is now fledgling, a loyalty program powered by InterSwitch’s Verve card launches to reward loyal customers with points. The business now needs to balance the accounts and uses Interswitch business reporting tools, which integrate with whatever accounting system used by the business. The business is able to gauge its performs with reports received even on mobile devices. The business is then to pay its taxes to government, renew its license with the county government, which is done online through Pay Direct service. That is the power of inter connectivity powered by InterSwitch.